TGI Fridays will open a reimaged restaurant in Corpus Christi, Texas, Monday night that makes key changes to the casual-dining brand’s offerings, hours and identity, executives said Friday. 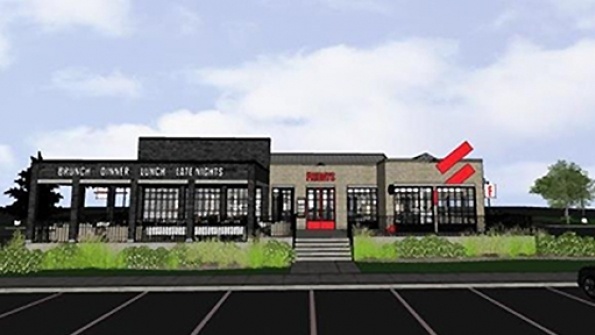 The reimaged restaurant, located in an area that skews high in Millennial customers, will offer mobile and reservations technology, multi-bar areas, expanded operating hours, grab-and-go offerings and a new area called Fridays Offsite to appeal to the coffee-shop crowd. The renovation of the 13-year-old, nearly 10,000-square-foot Corpus Christi location was aimed at creating “Fridays as a social place to be,” said Ricky Richardson, president of TGI Fridays USA, in an interview from the restaurant, which was originally converted from a China Coast restaurant. “It’s going after occasions that are truly social at heart,” he said.